Join a small personalised group and learn different meditation techniques each week. Classes are suitable for everyone. These meditation techniques are simple and very effective. They will help you create awareness and let go of worry and frustration. Building a regular daily meditation practice is the aim of these classes and so beneficial in our busy world. Class passes are valid for 6 months from date of purchase. Julie can come to you and teach your family or a small group. The cost is $120 per session and 4 sessions are suggested initially so you can learn the basics and practice different techniques. Please see above information for whats included. These Retreat Days are designed so you can let go and enjoy a day for you. 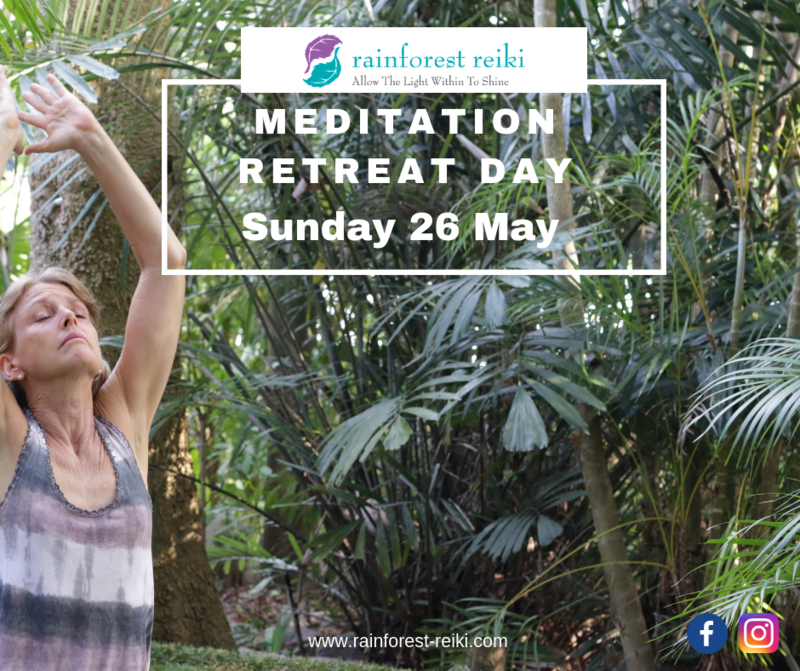 Bringing together meditations from the traditional Japanese Reiki system, a gentle yoga class and a delicious vegetarian lunch, they will give you the opportunity to relax, let go and connect deeply within. Cost: Earlybird Special $99 if booked & paid 2 days prior to event). Full price $125.